Lee House Gift Certificate is a great gift idea for staycations, vacations, anniversaries, birthdays, and holidays!! Also, makes a great wedding gift!! 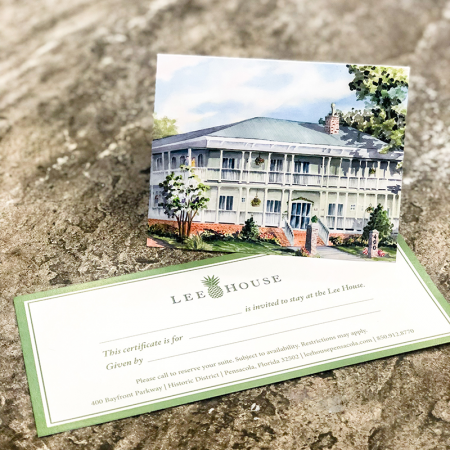 Lee House Gift Certificates are good for only rooms, wine purchases and rental fees for events. 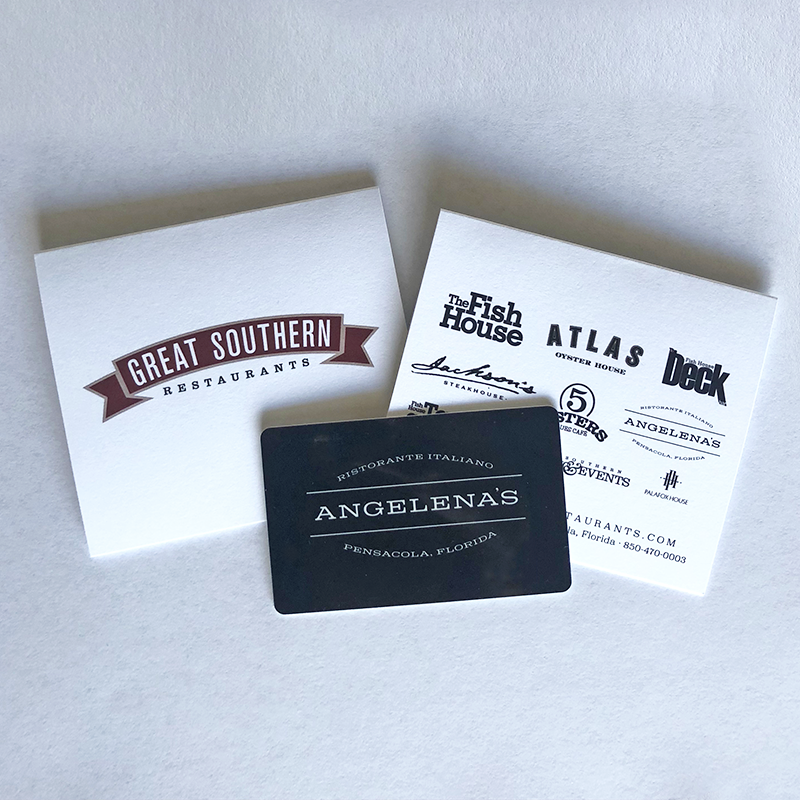 Lee House Gift Certificates are not good for dinners hosted by Lee House. Only good at the Lee House. AT OUR GIFT SHOP, THE TACKLE SHOP, located at The Fish House complex. Thank you. The Lee House is a boutique hotel wonderfully located in the heart of the Historic District of downtown Pensacola, Florida. Capturing the charm of the original 1866 home that once stood on its site, the Lee House exudes a historic feel complimented by modern decor and luxurious conveniences. 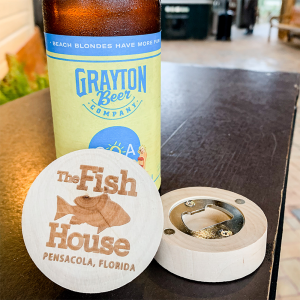 The Lee House’s architecture, interior design, and proximity to Pensacola’s waterways, parks, and vibrant downtown, make the Lee House Pensacola’s foremost accommodations choice and event venue. At the Lee House you are sure to find beauty, comfort, and classic Southern hospitality! Visit leehousepensacola.com for additional information.